This layout was inspired by a weekly challenge in the Library of Memories Community workshop at BPC. 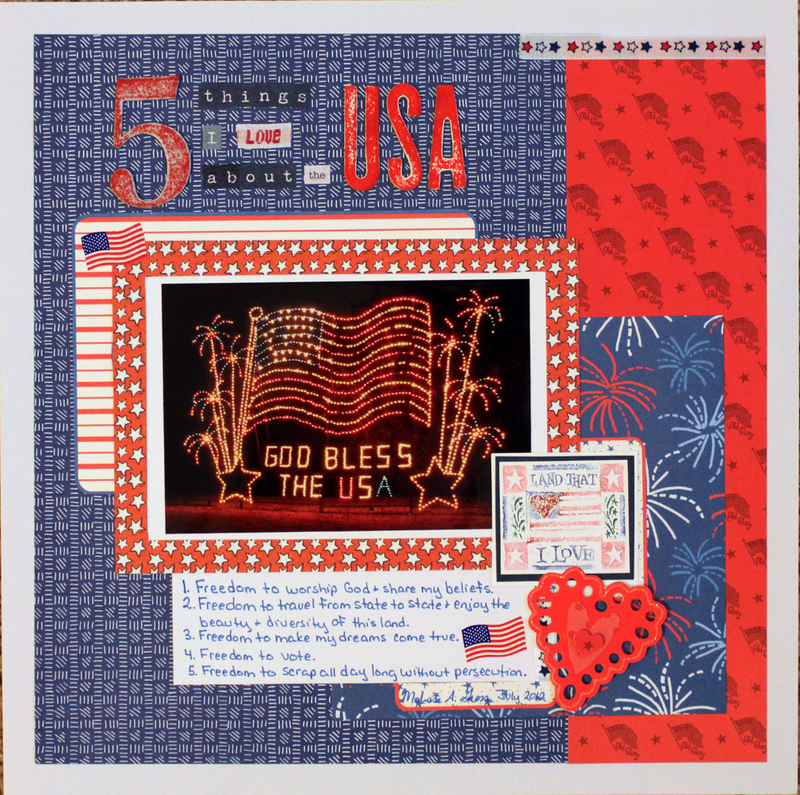 Stacy Julian challenged us to write down five things we love about our country, and I decided to create a layout using up some older patriotic supplies from my stash. 1. Freedom to worship God & share my beliefs. 2. Freedom to travel from state to state & enjoy the beauty & diversity of this land. 3. Freedom to make my dreams come true. 5. Freedom to scrap all day long without persecution. I have a new thing I love about the USA after traveling abroad.... great fabric stores! We are so spoiled. And you Melissa, you're a great thing about the USA too! Hi Melissa! I haven't visited your blog for a while. 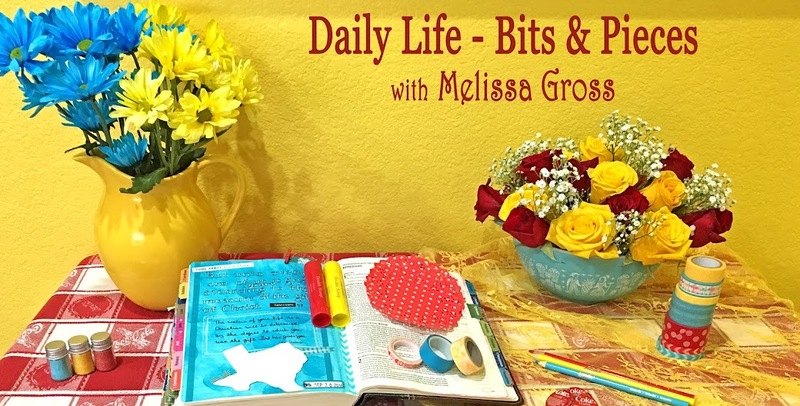 Love your new craft room! This 5 things LO is great! made me smile even though I'm from the UK! Great layout - #5 made me smile even a little wider! A great patriotic layout....I think your 5 things apply over here as well. 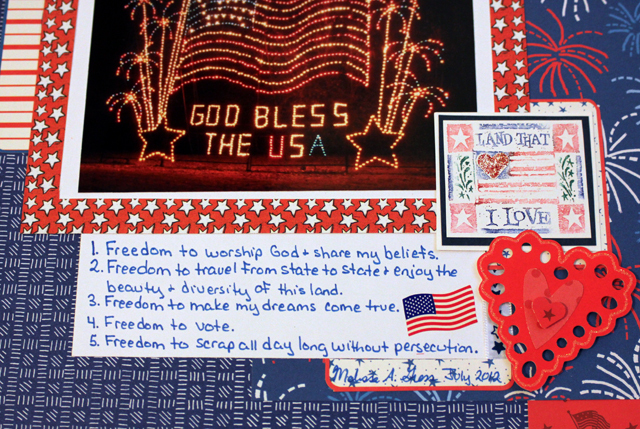 A lovely and perfectly patriotic layout! Your page is wonderful and your list made me smile. I need to make a page like this for my mom. She wasn't born in the USA but she is the most patriotic person I know. Thanks for the inspiration. Nice layout! I really like all the layers you used, and the patriotic feeling I got when I saw the layout. The last one made me laugh out loud! 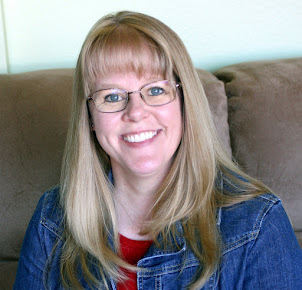 Like Rinda, I was laughing out loud when I got to #5. Great list! What were you doing . . . Guess Who Was In Dallas Last Week?